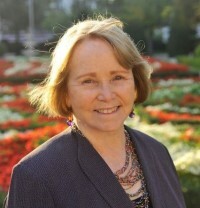 Mary Duncan, Ph.D., the founder and director of the Paris Writers Press, is a native Californian and has lived in Paris since 2000. She is a contributor to the Huffington Post, the author of Henry Miller is Under My Bed, owns an archive of original Henry Miller materials and is on the Advisory Board of the Henry Miller Library in Big Sur, California. An early patron of the Shakespeare and Company Literary Festival in Paris and the founder of the Shakespeare and Company bookstore in Moscow, Mary founded the Paris Writers Press in 2011. In her ‘life before Paris’, she was a professor at San Diego State University, an expert on terrorism and the the Irish Republican Army, and the author of numerous articles. She was frequently interviewed on CNN, ABC, NBC, CBS, Moscow television and radio and was the co-chair of the Soviet-American Committee on Causes and Prevention of Terrorism. She has lectured at Oxford University and the Woodrow Wilson Center for International Scholars. Her research took her to Nicaragua, Belfast, Cuba, Mexico, India, France and Tehran.